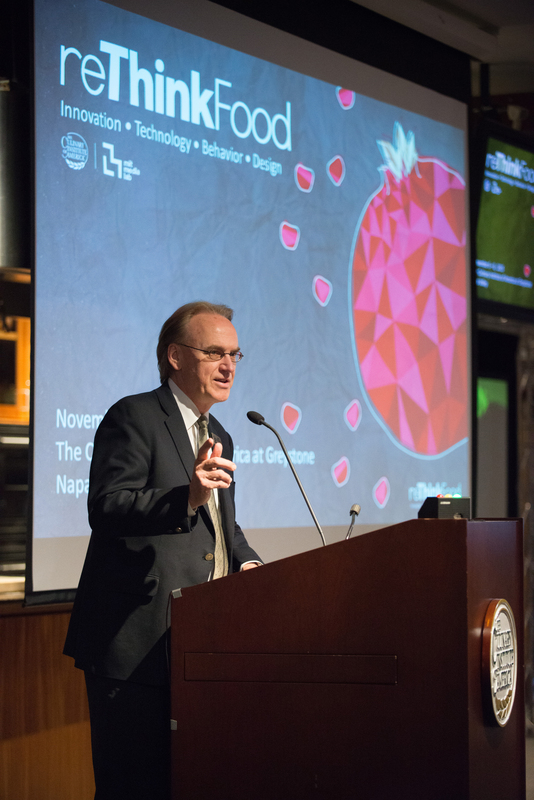 St. Helena, CA – The third annual reThink Food conference—a joint initiative of The Culinary Institute of America and the MIT Media Lab—will be held November 4–6 at the CIA at Greystone in the Napa Valley. This year’s program will explore the tensions between old and new, novel and familiar, tradition and innovation, and abundance and scarcity in food, technology, behavior, and design. Additionally, the conference will delve into the intersection of food with some of technology’s most exciting advancements around AI, robotics, virtual reality, big data, and genetics. The three-day event will feature more interactive sessions and food experiences than ever before while welcoming 300 food industry leaders, including academics and innovators in design, R&D, technology, consumer package goods, and marketing. Sessions focus on the next chapters of innovation for both emerging and long-established companies. Presenters will delve into technology’s role in food safety, teach you why “you are what you eat,” and envision the kitchen of the future. The list of speakers includes experts in technology (Michiel Bakker of Google), innovation (Jim Flatt of Hampton Creek), personalization and sensory science (Lisa Mosconi of the NYU Medical School and Charles Spence of Oxford University), agriculture technology (Caleb Harper, MIT Media Lab), cultured protein (Andras Forgacs of Modern Meadow and Ryan Pandya of Muufri). 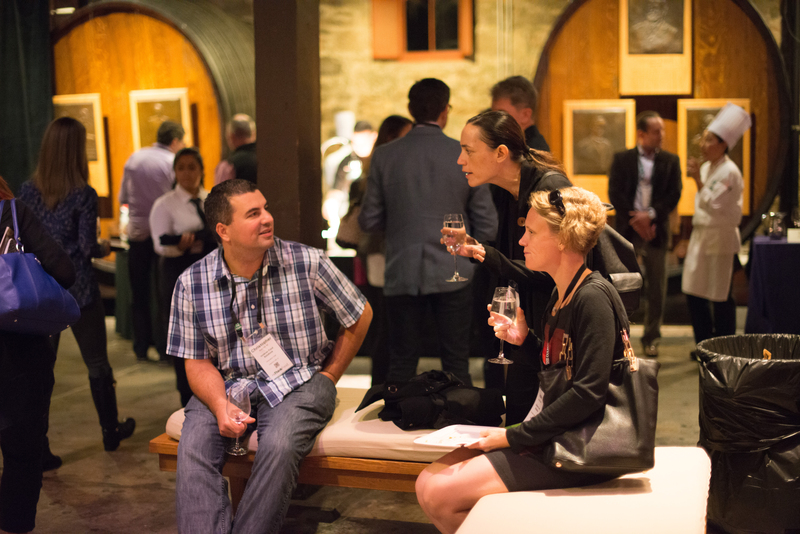 Breakout sessions will provide opportunities for interaction, such as a truly blind wine tasting and a “Startup Studio,” where big ideas can be brainstormed. 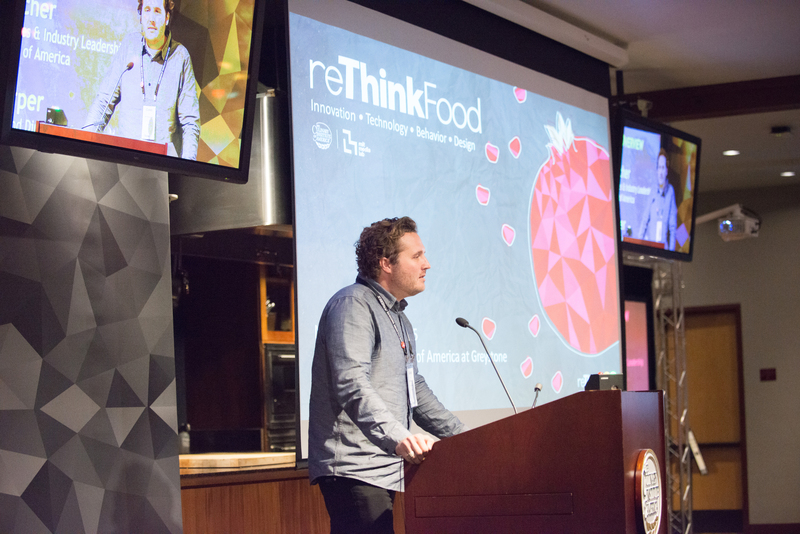 For a taste of reThink Food, a webcast of the 2015 conference general sessions is available for viewing. Other details, all program information, and a registration link for the 2016 conference are available on www.re-thinkfood.org. Actively promoting a unique, antidisciplinary culture, the MIT Media Lab goes beyond known boundaries and disciplines, encouraging the most unconventional mixing and matching of seemingly disparate research areas. It creates disruptive technologies that happen at the edges, pioneering such areas as wearable computing, tangible interfaces, and affective computing. Today, faculty members, research staff, and students at the Lab work in 25 research groups on more than 350 projects, from digital approaches for treating neurological disorders, to social assistive robots, to advanced imaging technologies that can “see around a corner.” The Lab is committed to looking beyond the obvious to ask the questions not yet asked whose answers could radically improve the way people live, learn, express themselves, work, and play. For more information, visit media.mit.edu.